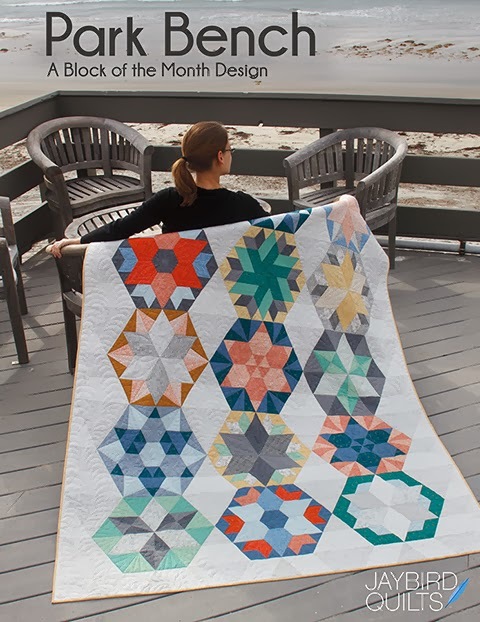 Fabric Shoppe is an online quilt shop that specializes in modern fabrics. The #1 word I always associate with Fabric Shoppe is FUN! 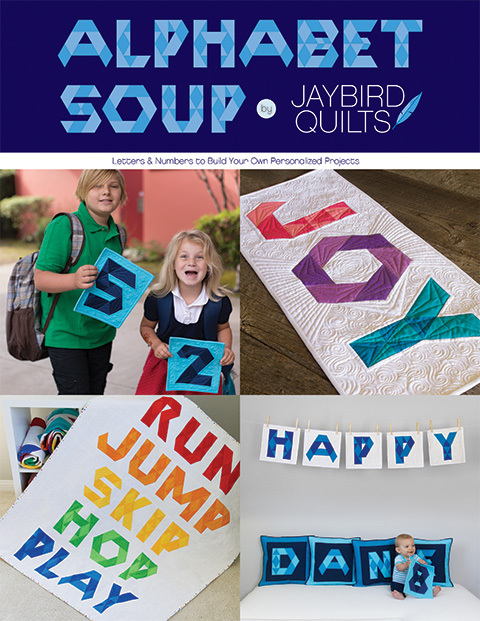 Jody is the woman behind it all... and she stocks her shop full of fun & bright fabrics that make me want to play. My name is Jody of the Fabric Shoppe! A little about me...I am married to my best friend who by trade is a pastor. We have 2 girls age 1 and almost 3. Since I was little I have had a deep love for creating and handmade! I took a quilt class at a local quilt shop in college and found that I love the possibility that a piece of fabric holds. I started the Fabric Shoppe on Etsy back in 2008 after frustrating searches for modern fabric for my handmade business. The Shoppe has since grown and I LOVE LOVE LOVE being a part of the online creative community! I blog at Everyday Beautiful! You can also follow us on facebook or twitter for sales, giveaways and to see all the new fabric lines. In the Shoppe you will find your favorite fabrics bundled together for easy shopping. 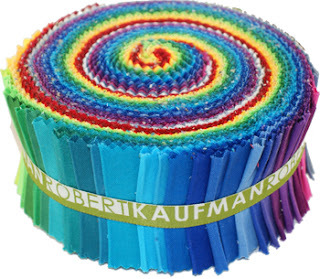 We carry a large selection of Robert Kaufman, Riley Blake, Alexander Henry, Michael Miller, Organic, Echino, and many more. 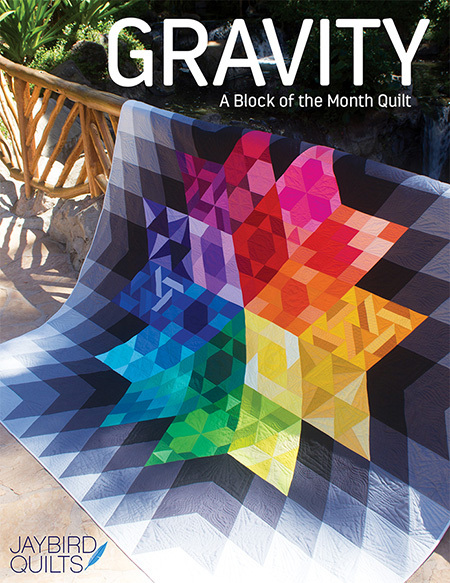 We stock Kona solids, Free Spirit quilting linens and precuts for all your projects! Some of my favorites right now are this lovely Joel Dewberry bundle! I love how Jody offers bundles of all sizes. In many of the fabrics you can choose FQ, half yard or full yard. You can also create your own bundle in a variety of sizes! Jody has 2 great prizes to offer!! First is a 1/2 yard bundle of Ty Pennington Impressions in the Ice/Persimmion colors, 8 total. Value is $54 with shipping. 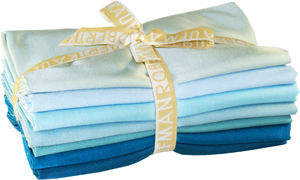 Second is a Robert Kaufman Half to Have It Radiance bundle in Oceanic. Silk, Cotton blend, 7 pieces 3.5 yards total. Value with shipping $55. & come back and tell me about your favorite fabric bundle! You have till midnight EST on Thursday the 7th to enter! What a great shop. 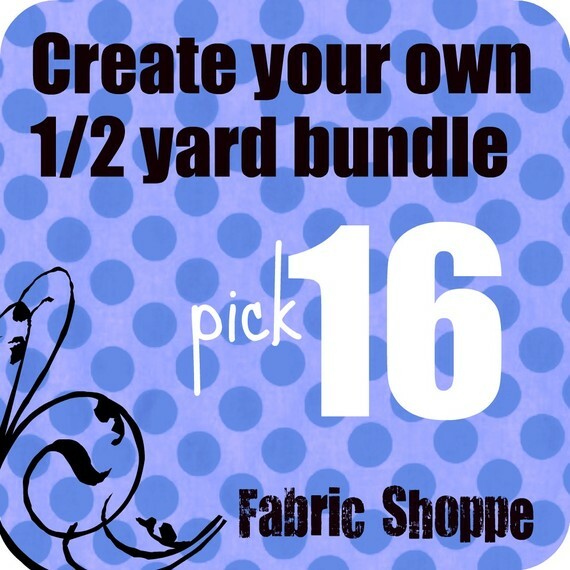 Love the idea of building your own half yard bundles! My favorite color is purple. My favourite colour is red. Purple comes in a close second. I like the Sweet Nothings bundle. I also like the Ready, Set Go line. Obviously I have a hard time choosing just one favourite! My favorite bundle is the Marine bundle. 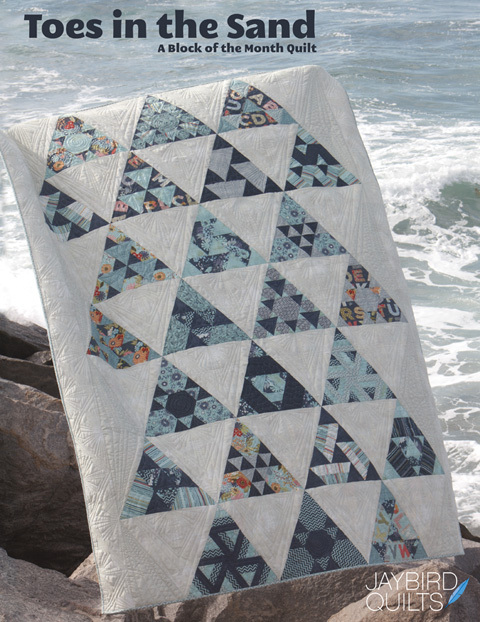 I've been coveting some marine for a boy quilt! I "like" the shoppe on Facebook. 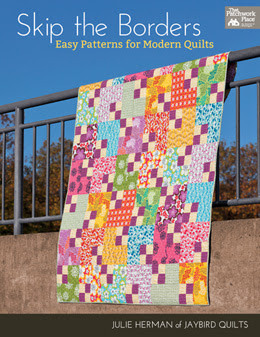 Quilters Linen Solids by Free Spirit Fabrics- Yard Bundle is my favorite bundle, I've been wanting to try these. Favourite colour of all time is blue. I already "like" the fabric shoppe. love the central park bundle. Favourite bundle is the Aviary 2 by Joel Dewberry. I have been eyeing that for a while. Love the gray colourway. I am loving the Aviary 2 Gray Bundle, the one in the post! My favorite color is purple! favorite color is anything blue/green! I'm favorite color is green but after thinking about it I realized a don't use a lot of it in my quilts. Guess that means an all green quilt should be my next project. The central park bundle is my favorite. I liked fabric shoppe on FB. My favorite color is purple!! Thanks for the chance!! I like the Pocket Pixie bundle by Alexander Henry. I haven't seen those little folks yet on any of the blogs I follow, but they're super-cute! They'd be fun to work with for a baby quilt. I really like Enchanted Garden! I just blogged about the giveaway! My favorite color right now is green. Last week it was a toss up between red and blue. My favorite bundle is Sweet Nothings! I already like Fabric shoppe on facebook. I love the colour green. I "like" fabric shoppe on facebook! And I just "liked" the shoppe on FB! I "like" Fabric Shoppe on FB! I love the Aviary 2 fabric bundle and I love each colorway so much I just can't choose a favorite. I've been wanting a sugar and spice bundle. I liked the Fabric Shoppe on facebook. My favorite color is green! Or purple. But not together, ick! My favorite color is grey. I know, I know...kinds boring, but it can be paired with just about anything! Already liked them on FB! I have to say I have a favorite color combination, rather than a color... is that ok? I love love love blue and yellow together. Thanks for this opportunity. I like the Fabric Shoppe on Facebook! I am absolutely in love with the Aviary 2 fabric by Joel Dewberry bundle. Such pretty colors! I know you said to pick ONE fav bundles, but I have B/G twins so I have TWO favorite bundles: Ready Set Go & Remix (b/c my little boy LOVES trains) and Enchanted Garden (b/c my little girl is in love with butterflies). What a beautiful collection of fabrics! Hmm... I really love that Joel Dewberry bundle in gray/yellow. But I also love the designer houndstooth bundle. She has some great fabrics! Hmmm, my favorite fabric bundle over at the Fabric Shoppe would have to be the Ty Pennington Impressions. Awesome! My fav color to wear is gray/purple. Otherwise, pink is usually my fav! I really like the sweet nothings FQ bundle in green and pink- very cute for my girls! I have just started sewing again and these fabrics are so inspiring. My favorite color is green. I like Fabric shoppe on Facebook. 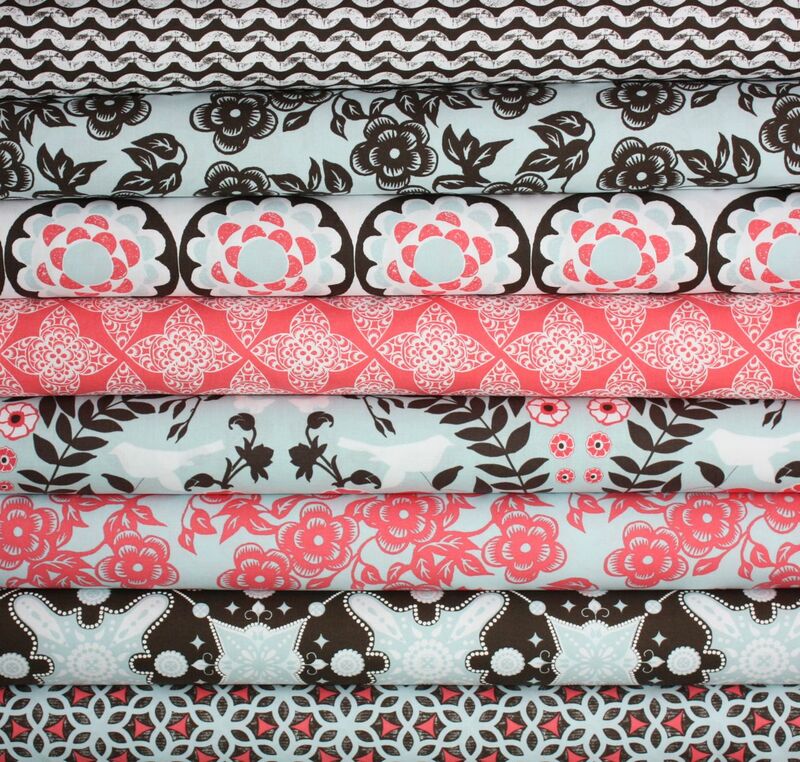 I NEED the Sweet Nothings bundle in pink 1/2 yard pieces. It would fit perfectly in my daughters room. Oh my favorite color is Winter Grey...better known as a light purple!!! I went and "liked" their facebook page! Can't wait to read all about there specials!! I went and had a look around her store and my FAV fabric bundle has to be Sugar and Spice in Pink by the Quilted Fish!!! Yay for Riley Blake fabrics!! My favorite Color is black and white, although recently I am showing a partiality to green. Can we change our favorite color at 44? 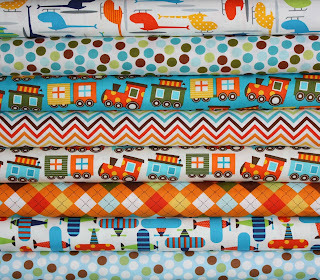 my favorite bundle in the shop right now is the Bicycles bundle by Michael Miller Fabrics. I now "Like" Fabric Shoppe on FB. I have ordered from them before, but somehow had not yet connected on FB. Sugar and Spice in Pink by quilted fish would be my favourite bundle. Right now I'm jazzing on the yellow and grey combo that I see around. Too hard to choose just ONE color. My favorite color is green. Followed closely by blue and orange. I liked the fabric shop on facebook. Thanks for the great giveaway! My favorite color is teal. Favorite bundle is a hard one. Any of the Central Park bundles or the Ready set go bundle. 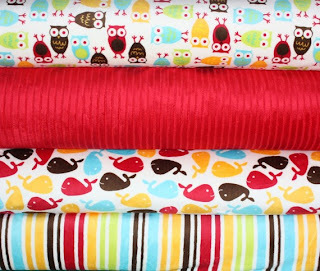 My favorite bundle at Fabric Shoppe is the Organic Marine bundle: http://www.etsy.com/listing/67280183/organic-marine-fabric-by-birch-fabrics. I LOVE that collection! My favorite color is RED! Thanks for sharing about this shop - it looks like a great one to check out. My favorite color these days is grey. I Like the Fabric Shoppe on FB! My favorite color lately is aqua! I like Fabric Shoppe on FB! 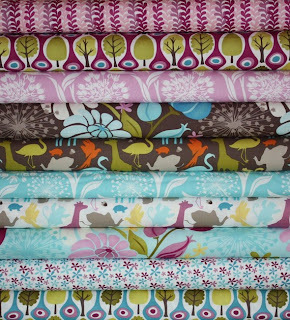 I love the Winter 2010 Zoology Fabric bundle! Can I say black? It makes all the other colors pop and is a basic that you can't do without. My favourite colours at the moment are red and cream. Not sure this is open to international but entering just in case. My favorite color is blue-green. This shop is amazing! I love looking at her bundles! I'm a bundle shopper...so her choices are great...and she's now in my favs! Thanks again for another chance to win! I've been drooling over this bundle for days now! My favourite colour is yellow. Thanks for a chance to win. For quilting I'd say for now these are various shades of blue/aqua followed closely by rich brown. I LOVE the Zoology and Remix bundle. Favorite bundle is Central Park - I just love that line. I like the Sugar and Spice bundle in aqua. Wow, you're right, the fabrics are fun! Aviary 2 by Joel Dewberry is my fave. My favorite color is blue. Thanks for the chance! my fav color is blue! your shoppe is amazing!!! nice work! 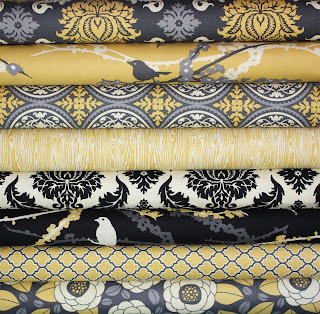 i'm dying over Zoology and Bicycles bundle by Michael Miller Fabrics FQ bundle. There are so many great bundles in the shop, but I think my favourite would be the Half to Have it in oceanic and Enchanted Garden in turquoise. My favorite color is green! I have Fabric Shoppe stuff all over my Etsy favs page. They have a great selection. It's so hard to choose a favorite bundle. I'm currently crushing on the Michael Miller baby/bicycles bundles. The colors are wonderful. Right now green's my #1 - thanks for the opportunity! Love the fabric shoppe. Thanks for hosting the giveaway! It says it's a pink bundle but there are lots of beautiful green in there too. And thanks for this great giveaway. My favorite color is purple! Yay purple! My favorite color is green. :) Thanks for the giveaway! My favorite colors are blue and green! Okay, I went to the Fabric Shoppe, but hardly needed to after seeing that Ty Pennington bundle. 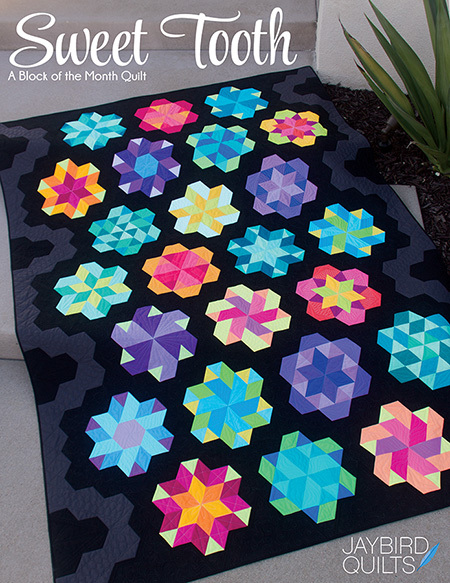 How goergous would that be for a baby girl quilt? But there are so many good choices in the shop too, is it okay to want them all? Thanks for a chance to win! I've been a FB fan for a while now. I really like the Urban Zoology/Remix bundle. I love the bright colors and they play so well together! What a fantastic giveaway! I love aqua...it's so pretty and peaceful! I "liked" Fabric Shoppe on Facebook. Such beautiful fabrics! Favourite colour at this moment is golden yellow. Ask me 10 minutes from now and it will be something entirely different. Paint me a rainbow, I suppose. I love all of the fabric bundles, but if I have to choose just one as my favorite it would be "Feeling Groovy"...adorable! 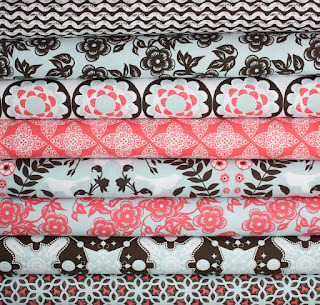 One of my fave bundles is Sweet Nothings Fabric by Zoe Pearn - so cute! I really don't have a favorite color, it depends on what I'm working on at any given time! green, specifically limey chartreuse, is definitely my favorite color. Favourite bundle? It might just be the Aviary you've shown on this blog post. I haven't seen it before and it's so pretty! I'm also loving the Swoon, Kumari Gardens, Sweet Nothings and, of course, the Central Park I've been drooling over for so long I still can't believe I haven't busted out the credit card. My favorite bundle is the Joel Dewberry Aviary bundle in grey. Would love to make a king size quilt for my bedroom! I liked Fabric Shoppe on Facebook. Thanks for the great giveaway. I really love the central park bundle. I wish I had picked up more of that from a not-so-local quilt shop. my favorite color is Robin's Egg Blue! so soothing and pretty! My favorite Color is Teal! I love almost any shade of blue - from pastels, skys, to the deep purpley/blue. my favorite bundle is rainbow of polka dots. I should probably be more exciting than that, but I LOVE polka dots! My favorite bundle is the 1/2 yrd of Pocket Pixies. My favorite color is green! Great giveaway! I *like* the Shoppe on Facebook! My favorite color is... green. No, yellow. No... blue. No.. you know what? I don't have a favorite. Because colors always look more delicious in pairs, so it's gotta be like, blue/yellow, or green/yellow, or yellow/brown. My favorite color is green. It seems to go with everything. My favorite bundle is Aviary 2 Fabric by Joel Dewberry for Free Spirit in the brown colorway! It's really hard to choose - lots of great fabrics! But, I really love the Robert Kaufman Pimatex Basics Polka Dot FQ bundle (I'm really into polka dots). My favorite color is green, but my daughter's is pink and those Ty Pennington Impressions fabrics are gorgeous. And speaking of blue I was just talking today about true Carolina blue, thats where I live and I would love to make it feel at home! My favorite bundle is the new sugar and spice bundle in aqua and red. Hmmmmbundles...! Aviary 2 in the yellow/grey or that ocean bundle. I can't decide! Fav colour has always been green, don't know why. Thanks very much. My favorite color changes from day to day....today it is spring green! What a great giveaway! Lovely fabrics, thanks for the chance. aviary 2 by Joel is by favorite bundle....love it!! Sugar and Spice Fabric by The Quilted Fish for Riley Blake Designs- Pink Yard Bundle - Wow, great shop! Thanks for the intro and the fantastic giveaway. I like the Fabric Shoppe on facebook. what bundle - why it would have to be this one! I love the Sugar and Spice bundles in red/aqua! I love the sweet nothings fabric bundles! i LOVE aviary 2!!!!!!! any color is superb!